Just Blocks from the University of Alberta! Close to Whyte Avenue! Perfect for Students! Nestled in the Garneau community this gem is the perfect place to call home! 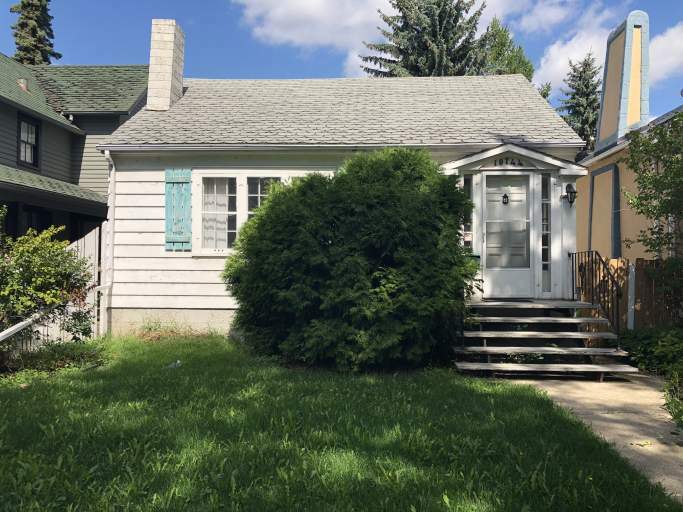 Enjoy walking distance to the University of Alberta campus and historic Whyte Avenue along with easy transit options for the Downtown Core and Macewan University/NAIT! With the stunning River Valley just minutes away, this location is perfect for everyone! Inside this spacious home you will find original hardwood flooring, plenty of extra features making it an ideal unit for roommates including an extra fridge, an extra freezer and lockable bedroom doors! Plus, three large parking stalls are included behind the fenced backyard, and there is a large storage shed for bikes and lawn equipment! Walk inside and be greeted by a large front entry opening into a massive front living room with tons of natural light, hardwood flooring and a built-in shelving unit. Off the massive living room is a large dining area, perfect for a large table or even multiple desks. The kitchen features linoleum flooring, plenty of cupboard space, updated tile backsplash and full-size stove and two fridges!! Down the hallway you will find two large carpeted bedrooms, each with built in closets and lockable doors, along with a full bathroom complete with a tiled tub shower. Head down the basement from the kitchen and find a large family room, three additional bedrooms with built in closets and large windows together with a huge full bathroom with a stand-up shower! The basement also offers a large laundry area with additional storage including a small freezer. The street in front has just been replaced and features new sidewalks and a bike lane, making commuting on bicycle to the U of A or Downtown Core a breeze! The fenced backyard offers a large storage shed, a patio space and a large parking pad with room for at least three vehicles. Call today to view as it won't last long!